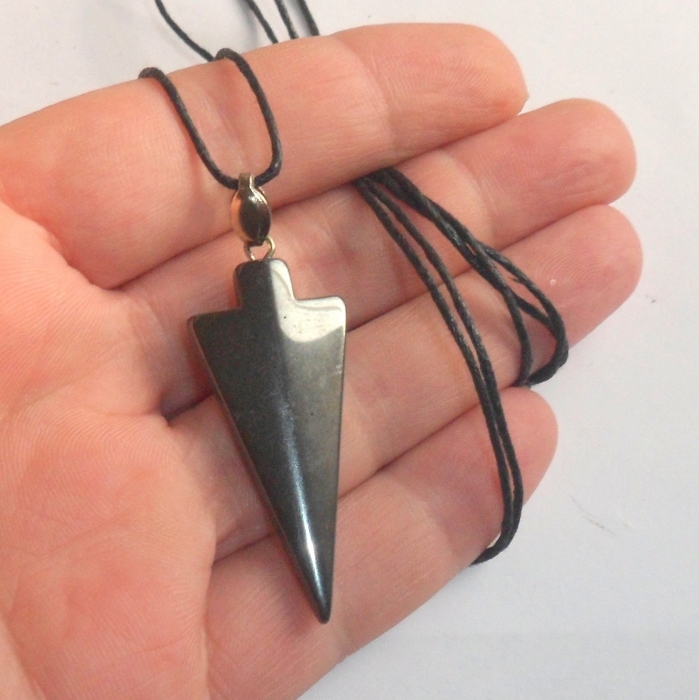 Black hematite arrowhead gemstone set on a necklace. 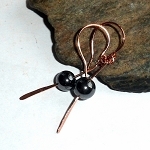 Hematite helps memory, original thinking, and technical knowledge. 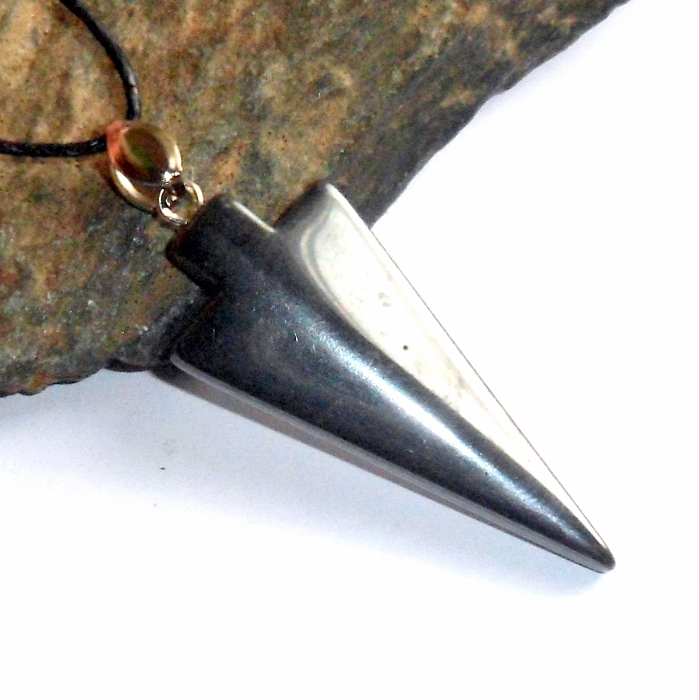 Hematite reminds you that the only limitations that exist are those you place on yourself. 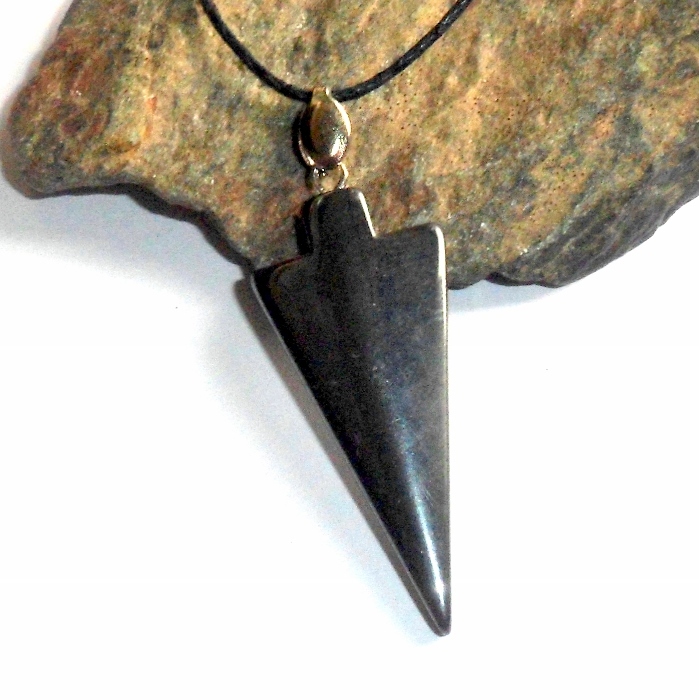 Hematite balances the emotions and energy between the mind, body, and spirit. Hematite gemstone is 1 1/2 inch by 3/4 inch. Necklace is set on a black cotton sliding knot cord adjustable up to about 32 inches.